Thanks for the Memories, Orrin! Notable politicos react to Hatch's retirement announcement. President Donald Trump greets the long-serving senator inside the Utah State Capitol on Dec. 4, 2017. 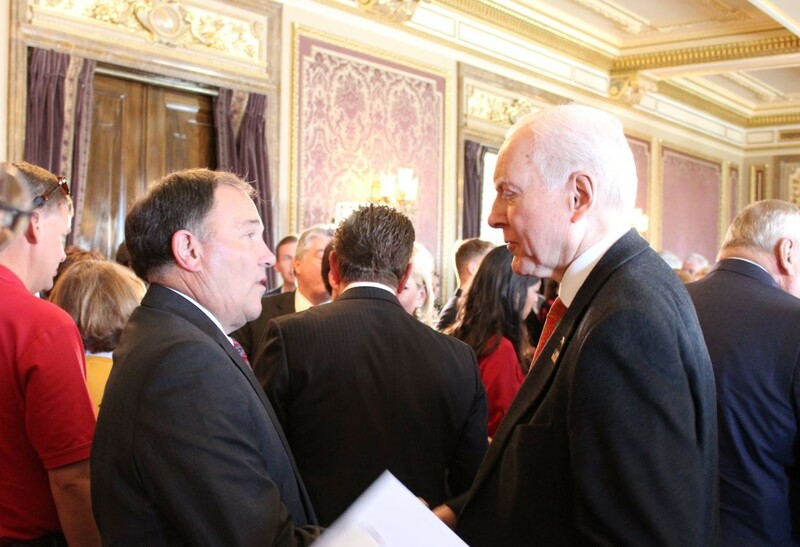 Sen. Orrin Hatch did his best last year to pass a GOP tax bill and tinker with public lands in Utah, and along the way, he garnered The Salt Lake Tribune’s “Utahn of the Year” recognition. So what’s an 83-year-old senator to do now? Just call it a day and bask in the ovation from his friends and colleagues, it seems. 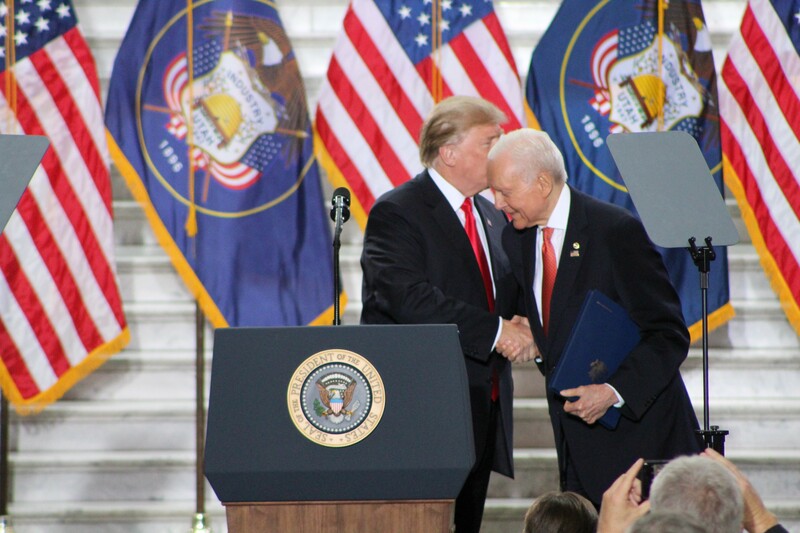 When Hatch announced his plans Tuesday to retire at the end of his term, elected leaders throughout the state—Republicans and Democrats alike—recognized the four-decade incumbent for his service, as did President Donald Trump and members of his administration. Not all Republicans have eagerly praised the president, but Hatch has been one of Trump’s most effusive supporters. In turn, Trump has rewarded Hatch with laudatory tweets and by signing a proclamation cutting about 2 million acres from Bears Ears and Grand Staircase-Escalante national monuments. Others newsmakers reflected on senior senator’s body of work. During his tenure, Hatch has been instrumental in the passage of numerous bills, indeed more than any other senator that includes monumental legislation like the American with Disabilities Act and the Children’s Health Insurance Program (CHIP). Here are a few notable comments related to Hatch’s announcement. 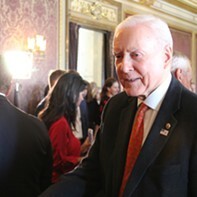 “We thank Senator Orrin Hatch for his years of service. For some time, Hatch was a senator of compromise, willing to make hard decisions. While he has strayed from that path over the past few years, we believe that service should be recognized. We thank him for his role in uniting Utahns against the Trump administration. Whether it was his inaction on CHIP, his support of the destruction of our national monuments, or his troubling defense of Roy Moore, we thank him. 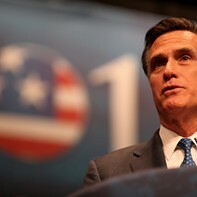 Now more than ever, we know where he stands and the Utah Republican Party stands, and it is not with Utah. We look forward to the 2018 elections. The Trump administration and outside agencies have a keen interest in this election. We believe that this Senate seat belongs to the people of Utah—not to Steve Bannon, Donald Trump, or their wealthy friends.